Following yet another vintage year for Axtone in 2010 with choice releases from Axwell, Prok & Fitch, Matt Caseli & Danny Freakazoid & Adrian Lux the label starts 2011 with a bang (pun intended). Blow Up introduces 2 new sets of producers to Axtone in the shape of Hard Rock Sofa & St Brothers. Collectively these Russian producers have been responsible for releases on the likes of Pink Star, Mutants, Cr2, Sirup, N.E.W.S, Nervous & many more but 'Blow Up' is set to be the record that launches them to the next level having been a mainstay in Axwell & the Swedish House Mafia's record boxes (SD Cards) for the past 12 months. 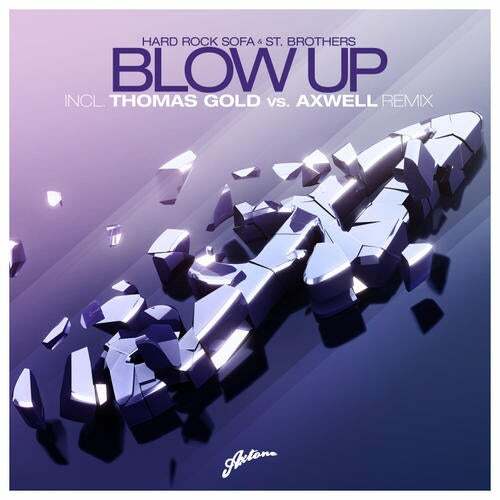 Leading the way on the package Axwell teams up with Germany's rising star Thomas Gold, sprinkling their magic dust on their re-vision drawing on the best parts of the Original and adding a new level of intensity that should see support right across the house music spectrum. On the proverbial 'flip' 2 of Australia's finest, Hook N Sling & Goodwill come together turning the record inside out, combining a piano laden break with a huge drop for a pure peak time moment. This remix had the message boards & blogs in a flap upon Axwells debut airing during his special 'Axmas' mix on Pete Tong's Radio 1 show at the end of last year.